September is newborn screening awareness month. Since 1963, state public health programs have screened newborns for a number of life-altering health conditions. Many of these disorders are rare and genetic, and if caught in the first weeks of life they can be treated or managed to prevent death or a lifetime of disability. Early detection can also help families avoid the lengthy and stressful “diagnostic odyssey” involved in finding out what ails their child (Exe et al.). 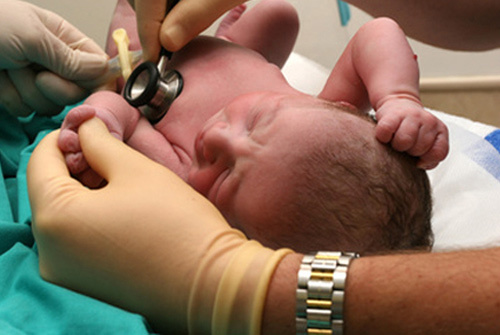 In 2013, the United States celebrated the 50th anniversary of newborn screening. From scientist Robert Guthrie's discovery of a test for phenylketonuria to development of state programs that screen every newborn for up to 56 conditions, newborn screening has saved and improved millions of lives. State-mandated screening gives newborns their best chance for typical development, in large part because of strong national guidelines and efficient state public health systems that have been evolving to support screening for the last 50 years. As newborn screening success stories gained national notoriety in the early 1960s, scientists quickly discovered diagnostic tests for a host of genetic disorders that could be treated at birth. State public health officials then responded by developing mandatory screening programs with inclusion of increasing numbers of genetic and metabolic conditions. While testing every newborn at birth is a seemingly simple process, organizing the resources required for obtaining samples, analyzing results, diagnosing disorders, and providing follow-up care is a large undertaking for state public health systems. To see the rest of this Genetic Testing and Molecular Biomarkers article click here.